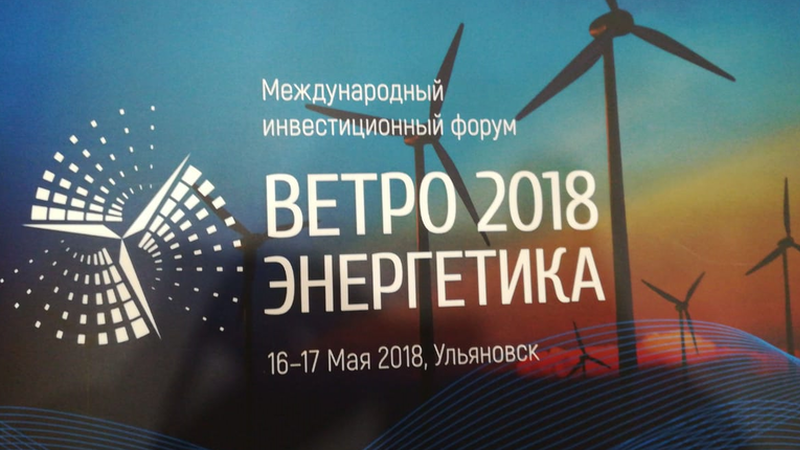 From May 16 to May 17, the city of Ulyanovsk is hosting the International Investment Forum Wind Power 2018 devoted to the development of wind power industry in Russia and the opportunities for implementing current and future projects in this sector. Within the framework of the forum, it is planned to visit the first wind farm in Russia located in the Ulyanovsk Region. The Krasniy Yar Wind Farm is a unique pilot project to create the Russia’s first industrial wind power park rated at 35 MW. The park is being built by the Finnish-based Fortum with the participation of Rusnano. Tatarstan is considering the opportunity of building wind power stations, as well as placing production facilities for some wind turbine components. Earlier this year, preliminary calculations of wind power potential were carried out in a number of regions in Tatarstan; the terrains of the sites under consideration were examined along with the distance of the sites to residential areas, airfields, etc. Completion of wind monitoring works in the territory of Tatarstan is scheduled for June 2019. Successful implementation of this project will allow Tatarstan to increase its own energy resources and reduce the volume of flows from other power transmission systems.